Government recording, intangible taxes, Document stamps. Title and closing fees – Title Insurance, Title endorsements. 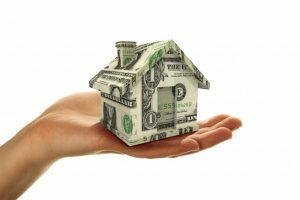 Escrow reserves for taxes and 1 year home insurance. The general rule of thumb is all the closing cost AND prepaid escrows will be about 2.5% – 6% of the purchase price. The higher the sales price, the less percentage of closing costs would be needed. The reason for this is many of the closing costs are fixed, and the price stays the same regardless of the home purchase price. Example – the appraisal charge will cost about $450.00 regardless if the home purchase price $65,000 or $200,000. Ditto for the lender underwriting fee, it will stay the same regardless of the home purchase price. There are other closing cost fees like this. In most states, buyers will pay their “customary” closing costs and the seller will also have their “customary” closing costs. However, none of this is set in stone, who pays what closing cost is totally negotiable on the purchase contract. One great benefit of the USDA loan is the program is still 100% financing and does not require any down payment. In addition, the USDA Rural Development loan allows the home seller to pay all the buyers customary closing costs and prepaids escrows – up to 6% of the purchase price. This is great because many buyers can structure their purchase contract in a way where they put very little to $0 into the transaction. Keep in mind all of the above pertains to a USDA purchase loan. The USDA Refinance Closing Costs are often times less because the USDA refinance is more streamlined and may not require a new appraisal and survey. Also, keep in mind that some lenders /banks may advertise “no closing costs” mortgages. Although this may appear to be a great deal on the surface, most the time the lenders are just increasing the borrower’s interest rate to cover the closing costs. There is nothing “unique” about doing a no closing costs loan, pretty much any lender can provide this option to a loan applicant if requested. Read more about Typical USDA Loan Closing Costs here and other USDA RD Loan FAQ’s here. Please reach out to us if you have any questions about getting started on your Florida USDA loan pre-approval, we want to help! You can call ph: 800-743-7556 or just fill out the short information request form on this page. We are open 7 days week 9am-8pm.